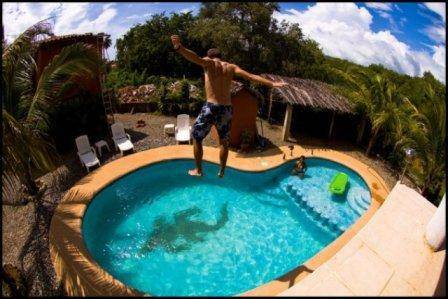 About us: Casa Caprice is located in Troncones, Guerrero, Mexico. 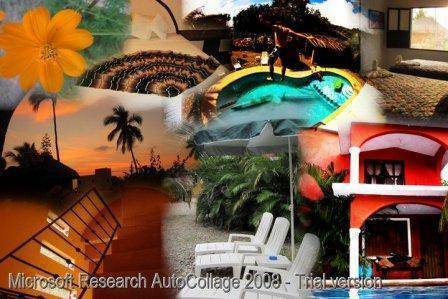 Troncones is a small beach community about 30 minute drive from the Ixtapa/Zihuatanejo International Airport. An interesting mix of local farmers and expats, Troncones residents give the town it's quaint small town charm. Casa Caprice is owned by a local Mexican family and is run by a young couple who have helped them and will continue to help them build a successful buisiness for their future. The goal of Casa Caprice as a business is to provide clean, comfortable rooms at an affordable price so all of our guests, national or international, experience the same constistant quality service each time they return to stay with us. We are not here to make money, we are here to make you feel at home by improving the quality of your Troncones experience year after year. We hope you will have left here feeling as if Casa Caprice is your home in Troncones. Having made many friends and having had such a unique experience while staying with us, you're sure going to be looking forward to coming back here soon! Casa Caprice is located on the South end of Troncones across the street from the nicest beach for swimming, boogie boarding, and playing in the waves. It is a long, open stretch of beach between two rocky points, there are no rocks in the water for a stretch of at least 500 meters on this amazing swimming beach! Primarily a surf destination, Troncones has grown with foreign investment over the past decade and has become a prime example of what people are really looking for in a tourist destination... a lack of tourists and a unique experience with all the amenities of a luxury resort town. Miles of beach with a limited number of large luxury vacation rental houses makes for very few people on the beach. 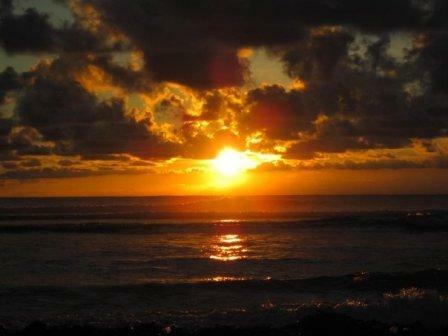 At any given time (except sunset) you could be the only one walking on 6 miles of pristine Mexican beaches. Troncones will inspire you with it's beauty. 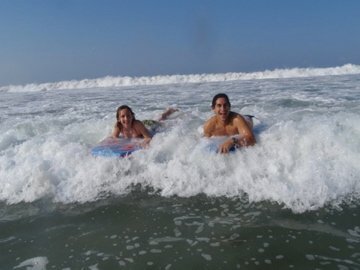 Surfing: Troncones has it's own world class point break wave (best in the summer) which is a 5 minute drive from Casa Caprice. Most of the surfers who stay in Troncones rent a car to get to a wide array of other world class waves such as Saladita (15 minute drive) which is one of the best waves in the world to learn on, the Ranch (35 minute drive) and other secret spots up and down the coast within a half hour to an hour drive depending on what kind of wave they're looking to surf. 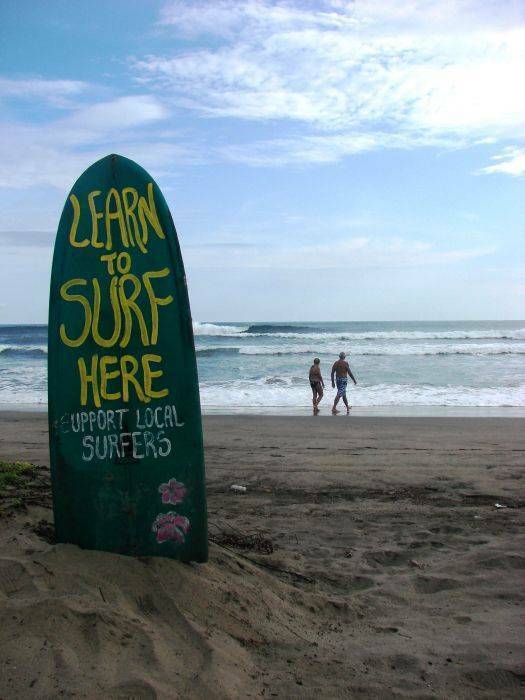 There are Surf Shops to rent boards and get surf lessons in Troncones and Saladita. Saladita and Troncones do have public transportion combis(vans) for one to get to and from both our local point break wave and the wave at Saladita just up the highway. To get to Saladita you have to make two connections on the local public transit system or book a lesson with the Surf Shop and get a ride to Saladita from Troncones. There is some nice beach break and a point that produces waves when we get a decent swell just 100-200 meters from Casa Caprice which for the most part go unsurfed when they are working. Sometimes there is no need to look any further than right here for amazing waves! Horseback Riding: There are several horseback riding options in Troncones, you can go for a leisurely ride on the beach led by a local vaquero (cowboy). You can also ask for a longer tour which can take you to some spectacular scenery and the chance to get to know the local area via back roads for miles and miles, crossing rivers and towns as you go. Kayak Tours: There are guided kayak tours available in Troncones. Explore our local estuarys and spot a wide array of flora and fauna, in particular the migrational birds. Behind the cabins have a Mangrove, no neighbors on either side, 50 meters from the beach, and 500 of the village of Troncones. 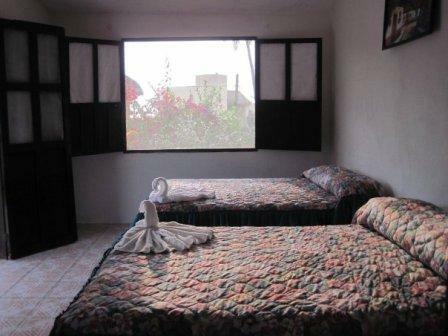 Habitaciones para 1-2-3-4 y hasta 6 en dormi o privado. Deben confirmar la reserva con el deposito del 30% del total de la estadia. Getting Here: Simplest directions - When you get to the beach turn left onto the dirt road, go almost to the end of the road (about 1 mile), we are the third last house on the left, you can't miss it. From Airport: Taxis are available at the airport which will take you directly to Troncones. They are cheaper if you walk out of the airport and catch one at one of the restaurants or stores off airport property. Combi/Bus Combination: Walk out of the airport past the parking lot and wait in the shade across the street and off airport property and a combi bus (VW type pasenger van) will eventually arrive, tell the driver you want to go to Troncones and he will drop you off close to a bus stop that has buses marked with the destination 'La Union' painted on the front window. Tell the driver you are going to Troncones and he will drop you off at the turnoff for Troncones (on the highway) walk across the street and wait in the shade for another combi van to take you to the 'T' in the road at the beach where it will turn Right and you must go Left. Walk Left down the dirt road about a mile and we are the third last house on the Left hand side. Nearest airport: Ziuhatanejo, 35 minutos.